Besides participating in Northwest NY CORE activities, she worked with CORE in Louisiana on voter registration and voter education literacy. She identifies herself as a Nuyorican and has continued to work as a cultural activist and community organizer. Besides being a legal secretary, she also became a psychotherapist, two fields which she combined her other work as a performer, producer, and film maker. She created an Art and Play therapy program for "bad boys" in 1965 at Lincoln Hospital Mental Health Services of the Albert Einstein College of Medicine in the South Bronx, NY. She also founded the Mariposa Center for Spiritual Healing and Education, a co-founder of the National Network of Women's Funds and served on the National Committee for Responsive Philanthropy CHD board, the Mission Cultural Center in San Francisco, and the Advisory Board for the Southern California Women's Law Center. 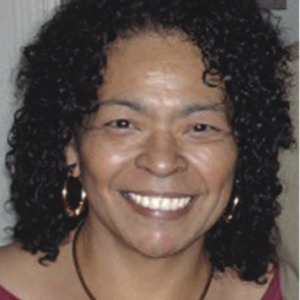 “photo of Fatima Cortez Todd, Northwest NY CORE,” corenyc.org, accessed April 21, 2019, http://www.corenyc.org/omeka/items/show/315.